Hey, its a 100th look!! hehe..Happy Raya peeps and here is the 1st look of my Raya outfit. 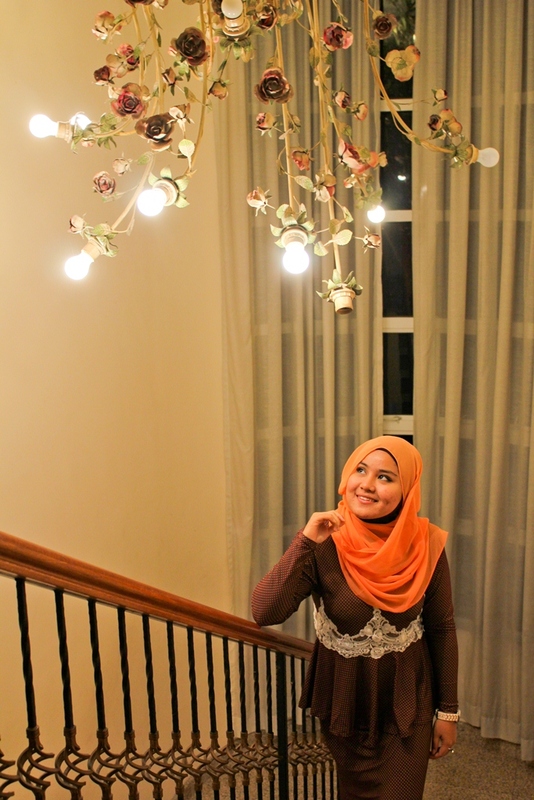 taken on the 4th day of Syawal when i visited my cousin's gorgeous home in Bukit Jalil. falling in love with this staircase area as its narrow angle is sure will create a great shot, proven! This polka-dot peplum dress is a two pieces garment with the lace detail on the waist, just to hide the assembly line and plus the fact that it is able to highlight and slimming my waist. Noted. 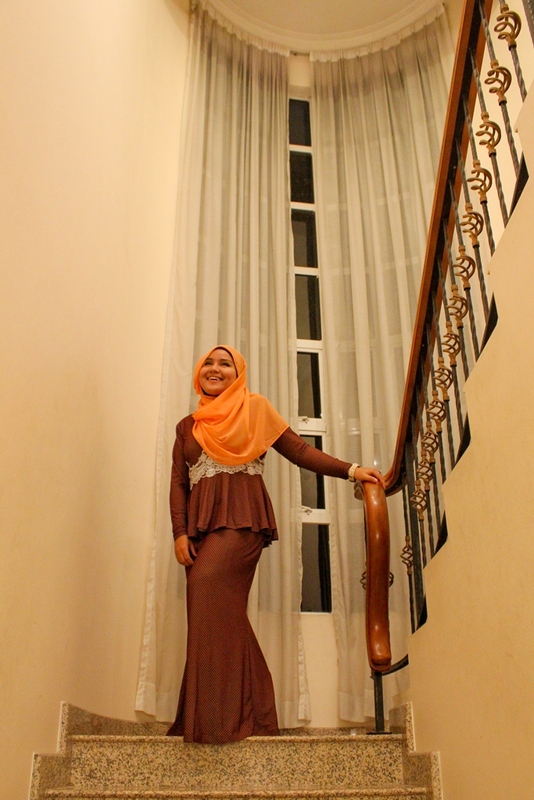 then, the material is called Lycra which i got at Bandung on the last year visit! yup, took almost a year to finally became a dress that can be wear. LOL. oh, totally loving it since it is elastic and stretchable enough to beautifully hugging my body with the utmost comfortability level achieved. 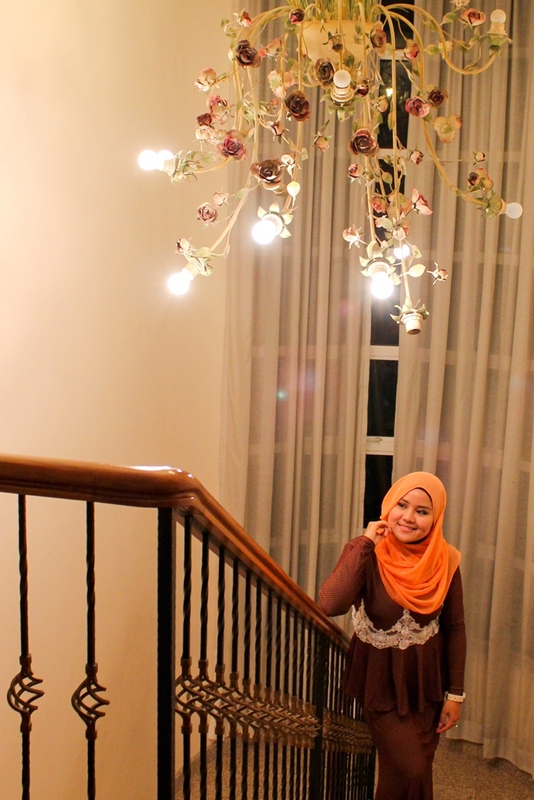 So, today was just the 8th day of the Eidulfitri but on my side, the feeling and the fun were already gone! hopefully, yours is still continuing joyful yar. Wargghhh, current condition is i am so so so busy jingling between works and personal thingy. quite dehydrated tonight and tomorrow, although i'm off but hey, will become more and more busy as my BEST FRIEND is getting married on this weekend. huhu. i'm so much happy for both of them, many many congratulation dearest Miss Syafiqah and Mr. Aai. Yup, sure this is the last update on this week. ;'( so, till we meet again on next week yar. do please continue visiting, reading and loving my humble blog here. love you guys to the max!! nice!! suke combinasi color tu =) slmt hari raya suzai.